Jim A. Bollich, 75 , of Vidor died Tuesday, February 5th, 2019 at his residence. A native of Nome, TX, he was a longtime resident of Vidor. Jim was a member of Our Lady of Lourdes Catholic Church in Vidor and was owner/operator of State Farm Insurance Agency in Vidor for many years. 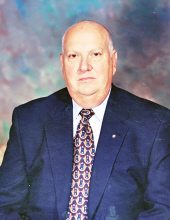 He was a past President of the Vidor Rotary Club and the Vidor Chamber of Commerce. Jim enjoyed hunting, woodworking and served his country in the US Army during the Vietnam conflict in the 101st Airborne. Visitation will be held from 5:00-8:00 pm Thursday, February 7, 2019 at Memorial Funeral Home of Vidor. A mass of Christian burial will be celebrated at 10:00 am Friday, February 8, 2019 at Our Lady of Lourdes Catholic Church with entombment to follow at Restlawn Memorial Park in Vidor. Jim is survived by his wife Betty Bollich of Vidor, TX, sons Michael Bollich and his wife Charlie of Houston, TX, Thomas Bollich and his partner Anthony New York, NY, brothers Wilbur Bollich and his wife Betty of Nederland, TX, Hallet Bollich of Winnie, TX, sister Mary Ann and her husband Robert Ogden of Evergreen, CO.
To send flowers or a remembrance gift to the family of James August Bollich, please visit our Tribute Store. "Email Address" would like to share the life celebration of James August Bollich. Click on the "link" to go to share a favorite memory or leave a condolence message for the family.